Last updated: August 9, 2018 at 11:42pm by Savanah – A bill was introduced last year to allow land-based casinos with sports betting in South Carolina. It was prefiled by Rep. Todd Rutherford and if passed it would be on the ballot this year (2018). 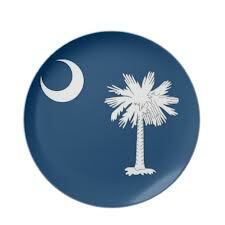 South Carolina voters want to expanded gambling in their state, by a 2-to-1 margin, and use that tax revenue for infrastructure upgrades per a fairly recent study by the Public Policy Polling. South Carolina doesn’t offer too many legal forms of gambling within their state, and they don’t allow much leeway when it comes to their laws. Their laws are similar to Pennsylvania’s in regards to not having a specific definition for “gambling”, which is rare and only causes more controversy when issues arise. As you can see is doesn’t provide a whole lot of clarity to the situation. Usually, when gambling issues are brought up in legal matters the above is the section of the law most often looked at. South Carolina doesn’t appear to be a leading state candidate when it comes to fully legalizing and regulating poker online. And, it’s tough for them to do so since they don’t allow commercial or Indian casinos. The state may not currently have regulated interstate poker, but that doesn’t mean their laws don’t allow it. It definitely is a gray area, but no records have been found of people being arrested, fined, and/or served jail time for playing poker over the internet. They also don’t seem to like home poker games but we found a good article with legal points which would help protect poker players in case they find themselves in a bad situation. If a statute has a substantial part of it that is unconstitutional, the whole statute is invalid. You have standing with the court to challenge the statute even if your rights were not violated, as long as there is a substantial chance that someone else’s might be. An unconstitutional statute does not have to actually be used to prosecute anyone for it to be invalidated. In the case of Epperson v. Arkansas, in which a teacher, Susan Epperson, challenged a state statute making it unlawful to teach any theory of evolution or adopt or use a textbook that teaches evolution, the Supreme Court specifically noted, “There is no record of any prosecutions under the statute. It is possible that the statute is presently more of a curiosity than a vital fact of life.” Then it said, “Nevertheless, it is our duty to decide the issues presented.” We must conclude that even if no one in South Carolina has ever been arrested for violating the unconstitutional part of these statutes (which in a statute this old would be impossible to prove), it is still valid to take issue with the statute as a whole. What are the Legal Forms of Gaming within the State? Get ready for the long list of legal forms of gambling allowed in South Carolina; state lottery and charitable gaming. Sorry if you were hoping for a longer list, but the state lottery and charitable gaming are all they offer. No pari-mutuel betting, racetracks, commercial and Indian casinos are allowed. On November 4, 2014, South Carolina voters passed an Amendment to start allowing raffles as a form of charitable gaming. The state lottery is called the South Carolina Education Lottery. Looks like they wanted a name that would be more widely accepted amongst their residents, and also one that would help lure in people to buying lottery tickets knowing some of the money goes towards education; very clever. Fun games aside, their lottery has produced great results for education programs. 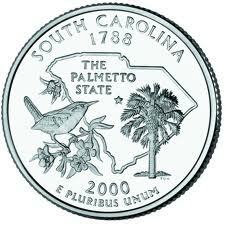 South Carolina’s lottery started on January 7, 2002 and has devoted more than $4.1 billion to education, kindergarten through higher education and scholarships, since its inception. For every $1 spent on a lottery ticket, 26.4% goes towards the Education Lottery Account.